One of the biggest ecological crises in recent years has been the steep decline in population of bees and other pollinators. However, a recent research project carried out by Queen Mary University of London suggests that the key to solving this pollinating problem is rooted in genetics. The group of scientists behind the project analyzed the biomolecular effects of certain pesticides on the DNA and gene expression of bumblebees. After exposing the bumblebees to a common pesticide containing clothianidin, they observed drastic genetic changes that varied among the different classes of bees. The worker bees saw a change in activity level for 55 different genes, while the queen bee saw a change in 17 genes. They believe that many of these genes are more active with exposure to the pesticide in an attempt to detoxify the bee of the deadly poison. While this information is helpful in regards to the study of pesticides, it is also interesting to the general biologist, as this shows that worker bees and the queen bee have genes that are wired differently and are affected differently by the same pesticide. The team from Queen Mary University implores that we reevaluate our pesticide regulations, as their study shows disastrous effects on one specific pollinator treated with one specific pesticide. This does not even account for the countless other types of legal pesticides and the other 200,000 different pollinating insects and how they may interact with each other as well. While the decline of the bees has received a decent amount of media coverage, I still believe that people do not grasp how truly crucial these insects are to our survival. Losing bees would mean much more than just no more honey, as without bees to pollinate plants, we would eventually run out of plants/food and pretty much all life on earth would die. That is why research like the experiment performed at Queen Mary University is so important. The ability to find exactly how a pesticide can affect the bee on a biomolecular level can provide us with enough information to decide whether or not a pesticide should be legal to use. 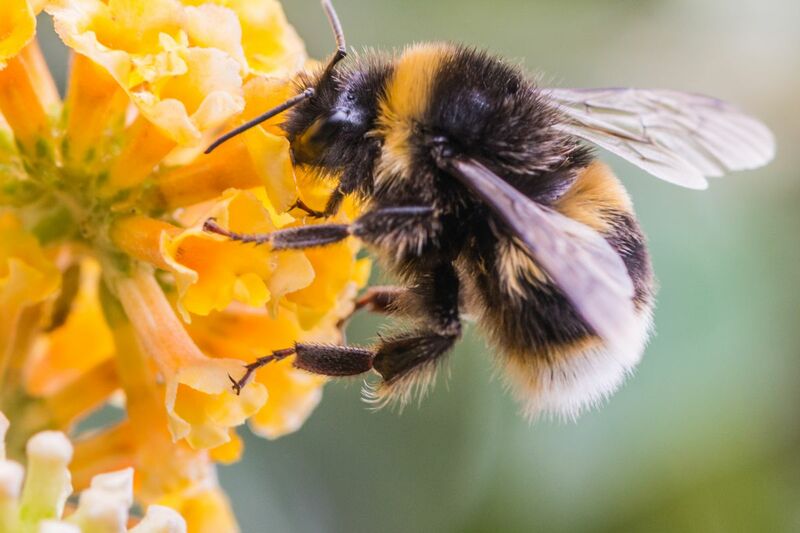 The pesticide used in the study is an entirely legal pesticide, yet it drastically changed the gene expression of the bumblebees in a wide range of genes. This change in gene expression may affect the bumblebees ability to forage for food or reproduce. So why the pesticide itself may not directly poison and kill the bees, it is still responsible for their deaths by inhibiting their ability to survive. I think that the Environmental Protection Agency must order studies on the mechanisms and side effects of all the pesticides it currently allows to determine which ones are actually safe to use. While this is unlikely to occur, it is necessary to save the bees and keep them pollinating.